I had visited Bala many times, staying at the Bwch yn Uchaf campsite next to the station at Llanuwchllyn. One day, I had been kayaking on the lake and returned to find locomotive, Alice chuffing up and down the platform. Curious, I went to see what was going on. It turned out that the owner was simply practicing his skills and after a little conversation he offered me a go on the regulator. Naturally I jumped at the chance! Afterwards, he asked me if I’d like to become a volunteer, to which I replied I probably couldn’t because I lived too far away. “Don’t worry about that,” was his immediate counter, “We have volunteers who come here from the Orkney Islands!” After that he told me about what opportunities were available and plans for the railway extension and I was very impressed with both the welcome I received and the ambition of the railway. So, I decided to go to the next volunteer taster day, where I was shown the basics of locomotive prep, driving, firing, guarding, signalling and general maintenance of the railway. The day was fantastic and I signed up immediately as a trainee fireman. Two years later, I’ve passed out as a fireman and am looking to complete driver training. In addition to this, I like to get to the railway to help with general maintenance working weekends. The railway is extremely welcoming and a friendly and supportive environment to learn an exciting hobby. Its great fun to be involved with this small, but ambitious railway and see families having a fantastic day out. Everyone I meet is so enthusiastic about what we do. In addition, the work keeps me fit! I highly recommend it! 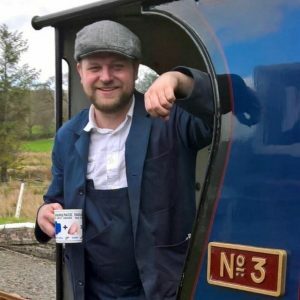 I joined the Bala Lake Railway in May 2017 after attending the Volunteer recruitment day. I signed up for the day over the winter, and was impressed with the information provided in advance and I turned up as instructed. On the day, I arrived to find two locomotives being prepared for the day. It was great to chat to the crews, who were really friendly and welcoming, explaining what they were doing and discussing the finer points of the locomotives while people assembled. 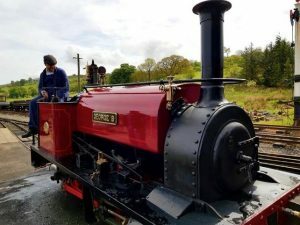 One of the locomotives was being prepared just for the prospective volunteers, demonstrating the level of commitment from the railway to making this day worthwhile. The day was really well run, with a chance to explore all the various volunteer opportunities across the railway. All the volunteers we met talked enthusiastically about what they were doing, and about the railway generally. The structure of the day gave an opportunity to experience all the various elements of the railway – with a clear message that it wasn’t a case of choosing between the departments, just giving a broad experience of the things we could get involved in. The day didn’t require any prior railway knowledge. Safety briefings were clear and straightforward, and everything was well explained. There are only a limited number of places available on each experience day, so the day was able to be tailored a bit, to cater for a range of different levels of experience. I left the day with a real sense that the railway was a friendly community of people, with a lot going on and every opportunity to get involved – which is exactly how it has proved to be. In the past 18 months, I’ve qualified as a fireman, started training as a guard and a signalman, painted some bits of metal, cut down some trees, helped to re-lay some track, cleaned brass and paintwork, welcomed countless visitors, and even represented the railway at an enthusiasts’ event at another railway. 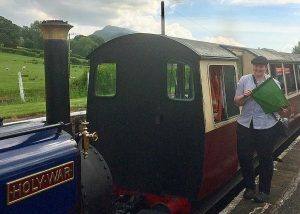 More importantly I’ve met dozens of people from all background and of all ages, with two things in common – the desire to support and contribute to the success of the Bala Lake Railway, and a sense of being part of the team that makes it all happen. It’s a team I’m proud to be a part of – come and join us. When the other half came home from the railway full of how much fun it was, I was a little sceptical, and wondered what we were letting ourselves in for. However, not long after, there was an opportunity to go with him, so I thought I’d see what had enthused him so much. Turned out, it was as good as he’d said! When I first came along to the railway, I found all the volunteers and staff to be very friendly and welcoming. I was quickly encouraged to shadow qualified volunteers who were happy to teach me the ropes. Safety is important and taken seriously, with great respect for each other and operational process, along with all the other operational requirements, but not at the expense of making volunteering an enjoyable experience. They all want to work together to make the railway the best it can be, for the volunteers and for the customers. I have trained to be a guard, which I really enjoy, as it combines working with the passengers, working with the crew, and doing some of the fun operational things like pulling the levers in the signal box. It is a great way of seeing the different elements of the railway and feeling as though you have helped to make a difference. It is nice to have a chat with the customers and answer their questions about the railway or engines and coaches, and it is fun to see visitors of all ages having fun. It’s also nice to feel like part of the team that are running the railway, liaising with the crew, and colleagues in the shop and café. There’s lots of other things you can do, too. You can help in the workshops, you can learn signalling, you can crew the locos, and you’ll easily find something to suit your skills and interests. 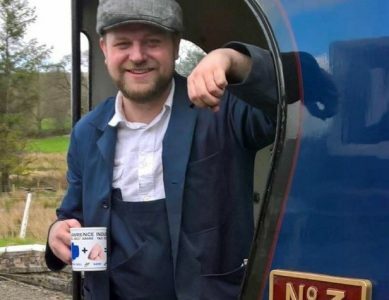 You don’t need to have volunteered at a railway before, or know anything about railways, but it is fine if you have that experience, you just need to be willing to join in and learn along the way. You don’t even need to be on site always, you can help with aspects like co-ordinating to make sure that there are enough people in the right place at the right time, or helping with communications and marketing, or helping to promote the railway at other events. For the operational roles, there are clear processes for training, mentoring and being checked to make sure you are safe and competent, which is really reassuring for everyone. There are facilities on site for volunteers which makes the practical things like where to stay very easy, and when other volunteers are also staying on site, there are often opportunities which help you to make friends and feel like part of the team – we might drink tea & coffee on the platform, or we might go to the pub for a meal together in the evening. Everyone is very friendly and inclusive. There is also an appreciation that as a volunteer your commitment will vary – people appreciate that we all have busy lives and lots of things to try and fit in, so there is no specific amount of time that is demanded from you – you give what you can. Hopefully, you will enjoy it and want to keep coming back! I l know I do. Finally, the setting is absolutely amazing, and while it sounds like a cliché, it is true, it never looks the same twice, as the lake, the hills and the weather all have an impact. 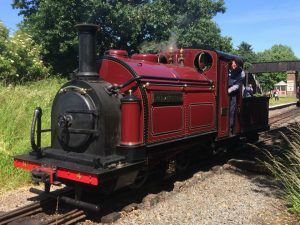 You will always enjoy an amazing day out in the fresh Welsh air with stunning scenery around you, as well as helping the railway to thrive – what more could you want?